Wondering what services you need to move? When you move, you need to bring more than just your possessions with you. There are many services that you will need to transfer from your old home to your new one as well. 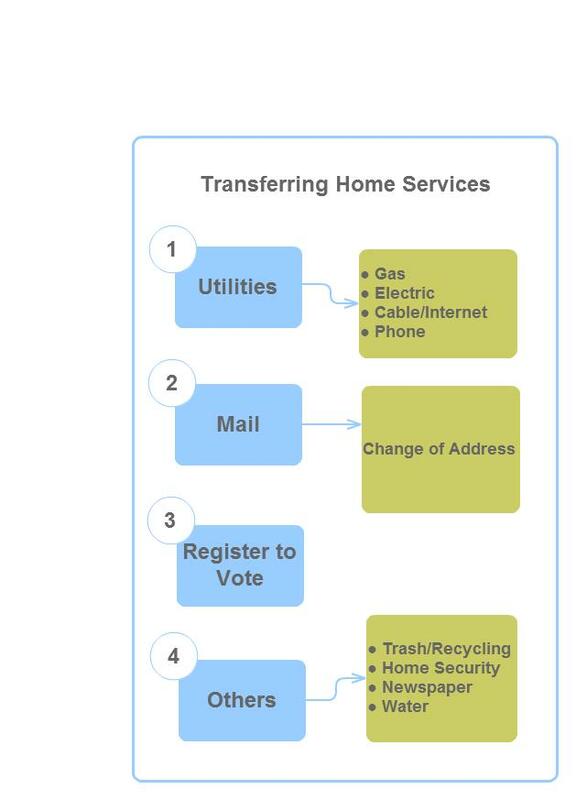 Depending on where you’re moving, you may be able to transfer your utilities. If your service provider does not service your new home, however, then you will need to find a new one. Transferring your utilities can help you save money in a few ways. Grandfathering – if you have a good service plan, you might be able to keep it when you move to your new place. Avoiding overlap – if you transfer your utilities, you can time the transfer to coincide with your moving date. If you forget to transfer or a utility, then you might end up paying for days that you aren’t living in your old place. Avoiding a new deposit – getting a new service provider can mean putting down a new service deposit. Changing your address is a critical part to moving. If you don’t change your address, you may miss very important information, bills and letters. You may also miss your favorite magazine. To change your address online, go to the U.S. Postal Service’s website. However, this is only a temporary fix. After six months, you are expected to have communicated your move to all relevant parties. You will have to re-register to vote if you move to a new county or state. Even if you are politically apathetic, this is still important to do. Trash / Recycling – if you use a particular type of trash or recycling, see if they service your new home. Home Security Systems – home security systems are more or less part of the home. However, you might be able to get a deal by using your old service for your new home. Newspapers – if you subscribe to a newspaper, make sure they know where and when you move so you have something to drink your morning coffee over. Water – some people get water coolers delivered to their homes and offices. These services can usually be transferred.